Another data point in the continuing debate about whether Napa Cabs age gracefully. Merryvale has a long, storied history. Built in 1933 immediately after prohibition, early owners included some members of the Mondavi family and later in the 80’s was owned by a real estate group founded by Bill Harlan. 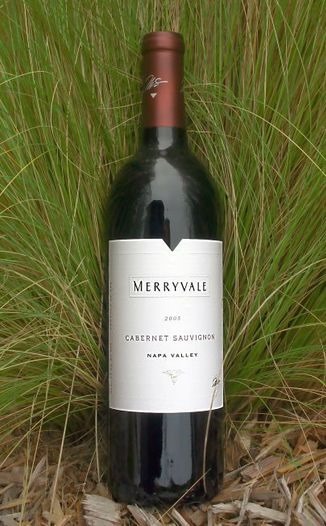 The name was changed to Merryvale (from Sunny St. Helena”) in 1991 and was purchased by the current owners, the Schlatter family, in 1996. 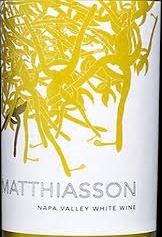 Merryvale is known for elegance and balance rather than power, and this wine provides evidence that balance is essential for good ageing.A middling scorer (high 80’s-low 90’s) when released, this wine is significantly improved 13 yrs. after its vintage date. Cassis, black olive, fig and warm spices mingle with some chocolate notes to frame a still vibrant, gently developing nose. In the mouth, a delicate thread of flint appears as the mid-section intensity peaks. The wine has settled into a shapely, supple, sensuality, a slow walk with good amplitude as it shows crisp hi-toned spice notes and deeper ripe fruit still in abundance. Drawn out but not tentative as it moves across the palate, the finish is mid length with lovely, fine tannins. I can’t think of a better evocation of this wine at this time than the cool, sophisticated polish of Steely Dan’s Hey Nineteen. Perhaps it’s too easy to hate these wines. And rejecting them categorically would be a mistake. For they are damn good — and not all the same…. To be honest, among all the various categories of wine, Napa Cabs are not at the top of my list. Most are overripe, over-oaked, and overpriced. But that emphatically does not include the so-called “cult” wines, at least those that I’ve tasted—Screaming Eagle and Harlan. They are indeed ripe (and of course overpriced) but all that power comes with so much elegance and finesse their quality far outstrips the run-of-the-mill $100 Cabernet’s that are widely available. These are great wines to be savored with the same delight as the other storied wines of the wine world, mostly from Europe. Unfortunately, most wine lovers will never have the opportunity to taste the cult wines. At prices around $1000 per bottle upon release and case production in the hundreds they are now collector’s trophies just like Premier Cru from Bordeaux. The tragedy is compounded because as Mobley points out, these wines are not only inaccessible but have lost their cachet. 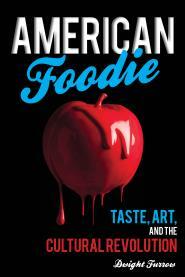 At the same time, other regions of California had begun to generate buzz. Pinot Noir happened. Low alcohol wines came into vogue. “Ripe” became a dirty word. The cults, with their mailing lists secure and their prices continuing to mount, were no longer the hot, new, exciting things….Now, these wineries have become easy targets for stone-throwing, representing to some people everything that’s wrong with Napa. This is the real tragedy. These are unique wines that demonstrate what Napa Cabernet is capable of. You really can’t understand California wine without having some acquaintance with them. And so the whole region declines in the estimation of the wine world when what you do well is no longer on display. I’m not sure what the solution is. In the art world we work around the expense and rarity of great works by funding museums where art lovers can view them for a reasonable fee. But wine is a vanishing object, destroyed in the process of appreciating it. Tasting museums would work only if the entire case production of these wineries were doled out in plastic cups to lines of tourists snaking through the vineyards—a dispiriting thought. The great wine houses of Napa are closer to mausoleums than museums, cloistered, silent, deserted, a mute testimony to greatness that must remain unappreciated.